This whitepaper explains the “TOP TRENDS” in Building Information Modeling (BIM). BIM is changing the way both the public and private sector work together to design, communicate, solve problems, and build better projects faster and at less cost. Download this whitepaper to learn more about the Top Trends this year! Gain expert guidance to improve data management when you watch this educational session on demand. You’ll discover a simple and proven approach to data replication and integration that will empower you to provide fresh reliable data. How do you figure out when someone was actually logged onto their PC? The data is there in the security log, but it’s so much harder than you’d think. IT Management & Monitoring for State and Local Government Powerful, Affordable, & Easy-to-Use! SolarWinds provides powerful and afordable IT management software to customers' world-wide from Fortune 500 enterprises to small businesses. Red Hat Academic Offerings ensure your educational institution gets more IT for your money, and Red Hat Academic Subscriptions allow you to run the solutions you need and enjoy, free upgrades, fixes, enhancements, maintenance, and more—all at a fixed price for a designated term. Ohio DOT (ODOT) has announced support for an Autodesk Civil 3D deliverable, leaving many Ohio-based governments to wonder how this will affect their everyday tasks. What are the detailed plans and how will the standards be made available? Download your copy of the new Application Modernization for Govies to learn about the basics of Red Hat JBoss Middleware technologies, the problems they solve, and how you can find the right fit for your organization. This whitepaper explains Autodesk Vehicle Tracking, Autodesk’s new swept path analysis software. Government agencies are using Autodesk Vehicle Tracking to evaluate design performance, quickly layout and optimize valuable parking space allotments and leverage powerful roundabout design and layout tools. Download this whitepaper to learn more! This editorial whitepaper by Federal Times on NetApp Private Storage for Amazon Web Services will cover how cloud computing will allow agencies to leverage the performance, customization, and control of private storage resources with the efficiency and elasticity benefits of the cloud. 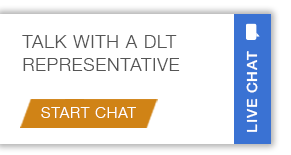 This webinar brought to you by DLT Solutions and Red Hat introduces solutions for cost-effective server management, infrastructure-as-a-service, and software-defined storage for your existing IT environment. Today agencies of all sizes are seeing tangible benefits by leveraging Red Hat technologies to manage their rapidly growing IT environments. Watch this on-demand webinar to discover what your agency is missing. Experts from DLT Solutions and Autodesk explain how Autodesk InfraWorks 360 is being used as a powerful tool to communicate with constituents and key stakeholders. In the case of Manatee County Government, Buzzsaw provided a central location for all building permits and / or land development applications, but also gave applicants the option to submit plans electronically – saving time and reducing paperwork. In this on-demand webinar, experts from DLT Solutions and Spatial Business Systems explain first-hand how you can improve the way you plan, design, build and manage electric utility assets with The Autodesk Infrastructure Design Suite. This on-demand webinar introduces ways to modernize and standardize your IT infrastructure to gain more flexibility and agility and reduce costs.